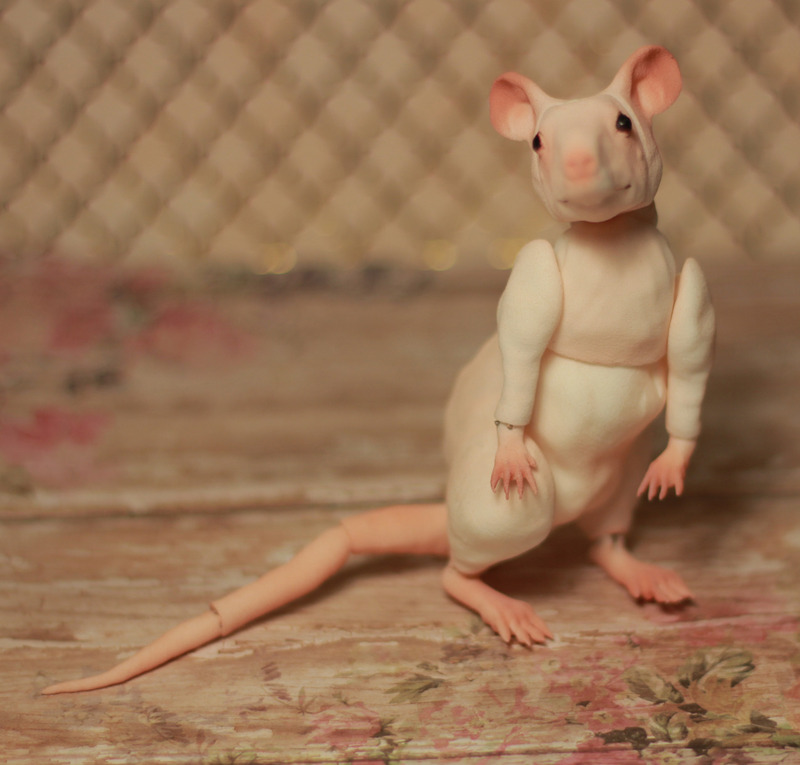 Custom Made Rat Doll ! 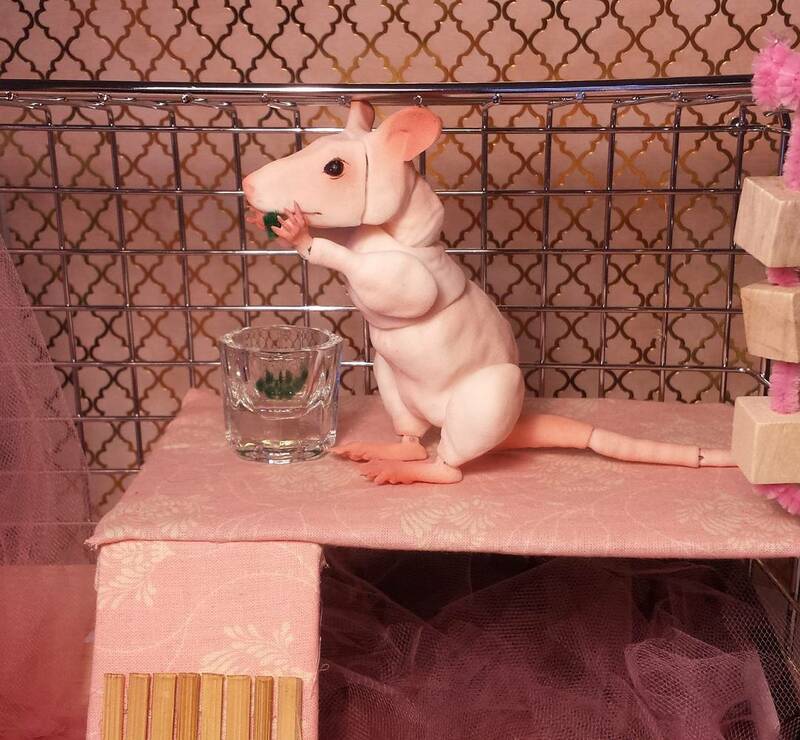 I made a rat doll based on my past crew. <3 I missed them so much I made them into doll-form so I can play with them forever! I offer layaway- and they will be ready in time for X-Mas presents if you order soon! This little guy (or girl!) is 20cm long from nose to tail. 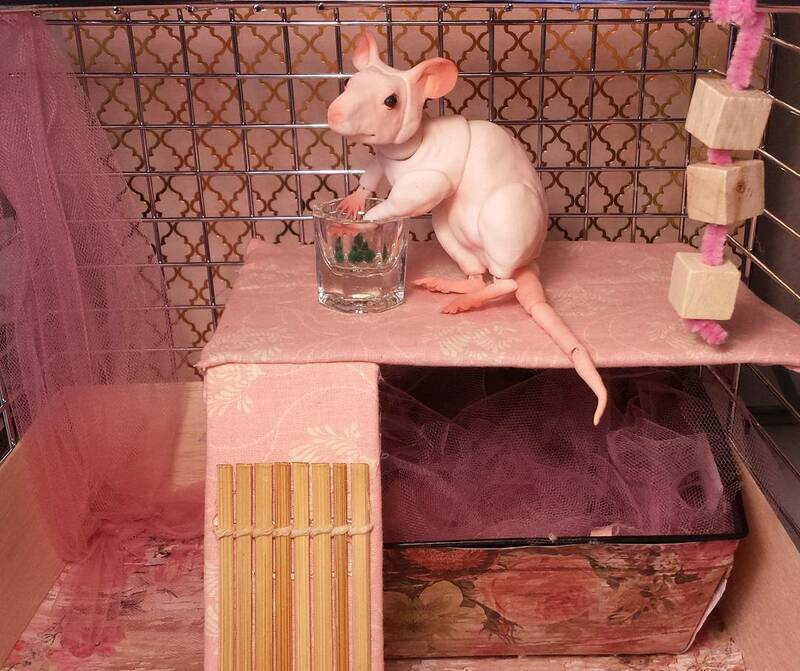 His favorite snacks include frozen peas and yogurt! 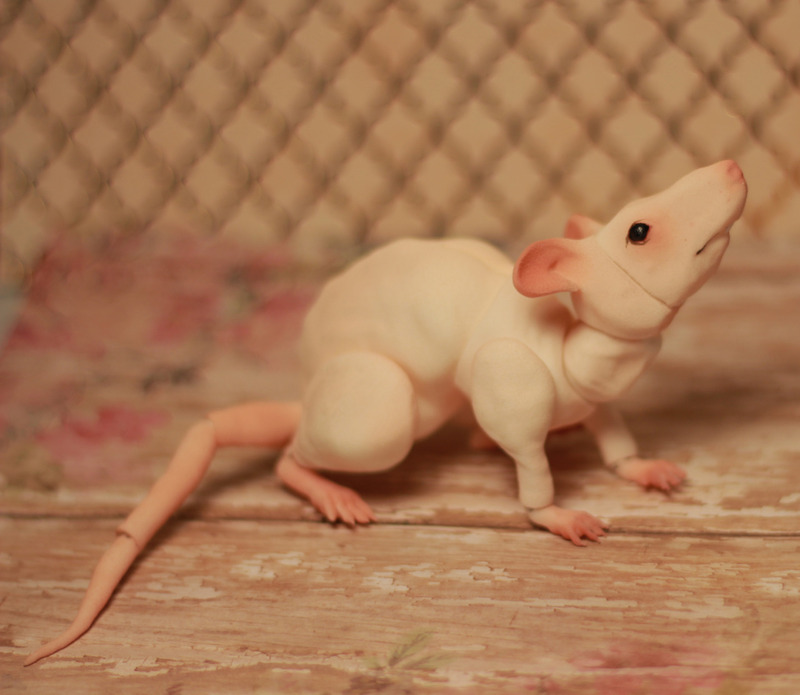 He costs $120 and is made out of white 3D printed material. He will come with 2 faces, open eyes and sleeping- and he sure does love sleeping! Available in White Strong and Flexible 3D Printing Material from Shapeways. 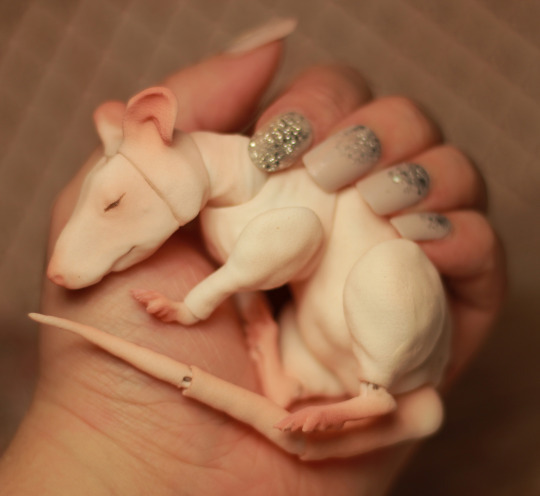 I can paint him based on your own rats, or I can paint him as shown. Plus shipping — calculated when ready to ship. Production time of 2-3 weeks!